Two years two months, 51 foreign trips on six of the seven continents of the world which covered 42 countries and included UN General Assembly meetings and scores of multilateral engagements; the debutant Prime Minister Narendra Modi has stirred the global diplomacy not in terms of sheer number of trips that he has made but in terms of their historic outcomes within a very short span of time. 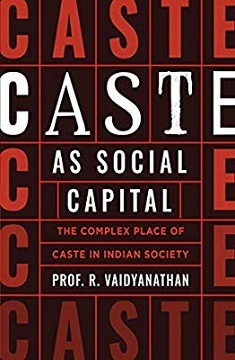 As T. P Sreenivasan, in one of the articles of this book, writes that “today India’s voice and actions are heard and watched on the global stage more than ever …mightiest nations in the world are lined up to seek strategic partnership with India and offers range from hard cash to technology, from trade in consumer goods to supply and co-production of sophisticated weapons” (pp. 281-282). Today, India has emerged to be more assertive, more vocal and more demanding but still rational, ready to compromise and willing to trust. But to consider this journey as only of triumph will be a naïve proposition as India witnessed in the case of NSG membership in June 2016 and is yet to make any breakthrough in humongously arduous India-Pakistan relationship, to name a few, despite sincere and earnest endeavour by Prime Minister Modi. The key agenda of Modi’s engagements with the world has been forging economic and strategic partnerships and alliances. 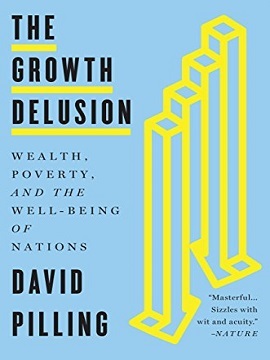 Arndt Michael of University of Freiburg, in an article in this book, has rather critically remarked that this doctrine of ”foreign policy an outcome of the economic policy” is not novel and has been carried over from Nehru’s time. But, what Arndt failed to acknowledge that the key hallmark of Modi’s engagements with the world in terms of economic and strategic partnerships has been that of sincerity with vigourness which had lacked till before Modi. The book under review “Modi and the World: The Ring View Inside Out” is the most contemporary account of Modi’s engagement with the world during his short tenure as Prime Minister of India. The diplomatic endeavours of Modi and their outcomes till date are found scattered in newspaper articles and in some journals, but a book on the subject dealing with the various diplomatic and foreign policy achievements has been missing. This book is precisely an attempt in this direction. 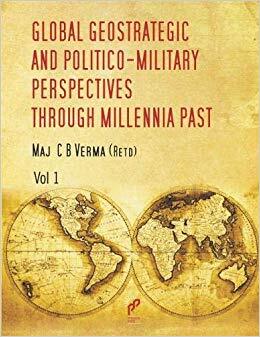 The book is an anthology of 45 articles covering six geo-political regimes under six themes. Modi made a bold departure in inviting all the heads of Governments from the South Asian countries while taking oath of office on 26 May 2014. This was a defining moment in the history of South Asia and sent a very positive message to all its neighbours that India wants to move ahead hand-in-hand and not alone in its path of development. Besides, Modi also engaged all the neighbours separately by making visits to each one of them and sorting out many long pending issues with ease and confidence. These engagements of Modi with South Asia has been discussed and analysed exquisitely in seven different articles written by South Asian experts in section one of the book. 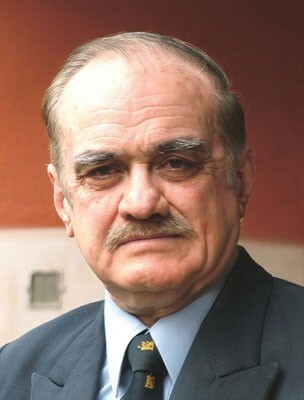 David Scott in the first article of this book entitled ‘Making Sense of Modinomics’ has emphasized that the economic focus of Modi’s neighbourhood policy is basically to attain three distinct outcomes - aid which will help in enriching trade with India; diminishing China’s influence in the region and establishing greater Indian influence globally. Mandakini Devasher Surie and Ali Riaz in their separate articles have mapped out the series of events and suggested that Modi has re-cast India’s image as constructive partners and his positive initiatives have the potential to remove the mistrust in the neighbours. However, both of them caution that though it was well begun but now is the time for translating words and commitments into action. Farooq Shobhan of Bangladesh writes that Modi’s doctrine of not only ‘paas paas’ (near) but also ‘saath saath’ (together) is quite positive. His article suggests that land boundary agreement between India-Bangladesh signed in 2015 has raised a lot of optimism, but at the same time the inability to make breakthrough in the Teesta water sharing agreement has been disappointing. Mathew Crosston in another article charts out several challenges – domestic, regional, and global that Modi will have to face. Nagesh Kumar in his article prescribes pragmatic suggestions for SAARC economic integration. Michael Kugelman on the other hand warns that the shared threat of climate change can be a potential burden for SAARC regions and the countries should move from cynicism to synergy in order to save mankind. In the second section, there are three articles dealing with Sino-India relationship. Jingdong Yuan in his article on India-China relationship presents Chinese perspective and says that Beijing is more cautious in dealing with rising India for both the reasons - economic and strategic. 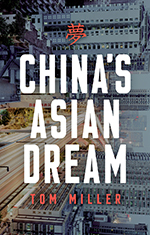 In another article presenting India’s perspective, Alka Acharya writes that while economics should lead the relationship between India and China, India should be cautious and careful to the strategic maneuvering of China which is often obdurate and complex. In a rather toned down and optimistic flavor, the article by Wang Dehua argues that both India and China are natural and civilizational partners and not rivals and competitors. He suggests that mutual trust, strategic friendship and peaceful coexistence are shared interests on which the relationship can be strengthened between the two countries. There are two articles on Indo-Russia relationship. P. Stobdan in his article on ‘Druzhba Dosti’ to ‘Shared Trust, New Horizons’ writes that PM Modi has found new ways to reboot India’s long standing friendship with Russia to make it more relevant to changing times. Boris Volkhonsky in his article emphasizes that Russia, India and China are destined to play a proactive role in the new global order. Arun Mohanty in his article on Central Asia writes that India must calibrate a more effective strategy to have a stronger foothold in the region’s highly competitive energy sector where China is a strategic competitor. Modi has effectively visited all the five countries in one go and emphasized the importance that he gives to the Central Asia. William Pickos suggests that inclusion of India and Pakistan in Shanghai Cooperation Organization (SCO) offers a historic moment for the two countries to break the cycle of mistrust. 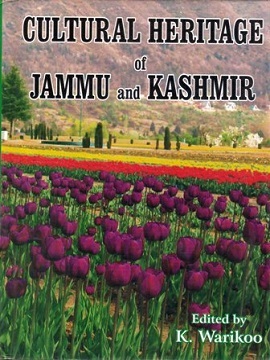 Section three of the book deals with the ‘Eastern Affairs’ and offers nine articles. Rahul Roy-Chouwdhury and Arushi Kumar argue that the Modi government perceives Indian Ocean as India’s ‘immediate and extended neighbourhood’, vital for its security and for which India must assume a greater degree of responsibility in shaping its future. Shankar Nambiar argues that space and security engagements will be more important in the ASEAN than just trade whereas Ganeshan Wignaraja suggests for more ambitious actions by business to upgrade their capabilities in the region. Aftab Seth and Purnendra Jain in their papers on Japan say that Indo-Japan relationship is scaling a new height under the personal bondship of PM Modi and PM Abe. On South Korea, Nicholas Hamisevicz writes that it is the economics that is the driving force between the two countries and under the leadership of PM Modi the relationship has only strengthened. On Indo-Australia and New Zealand relationship, Ashok Sharma and William Clapton in their articles write that there are tangible advances under PM Modi’s leadership. Now Australia and New Zealand are forging partnerships in agriculture, rural sector, dairy, food processing and in skilling India. The New West and the Old West is section four of the book and presents nineteen articles on India’s foreign policy engagements with the Western world. First four articles in this section deals with the United States of America. Harsh Pant argues that forging strong ties with India has become a cornerstone for the foreign policies of Big-5 of the western world - USA, UK, France, Germany and Canada. Kanti Bajpai highlights key drivers of Indo-US engagements in which China’s assertiveness, Islamic extremism, peace and stability in South Asia and economic engagements are some of the factors. Robert K Boggs emphasizes on dwelling upon realism to strengthen Indo-US ties whereas Mukesh Aghi argues that avoiding protectionist attitudes on both sides will be critical in improving economic relationship. On Canada, Subramanian Swamy and Girish M. Shah et.al. have argued that Indo-Canada relationship has immensely improved during Modi’s regime. Modi has made a first stand-alone visit to Canada in 42 years signifying a paradigm change in Indo-Canada relationship. Educational collaboration between India and Canada has been reinvigorated during Modi’s regime. Similarly, there are articles on UK, Germany, Belgium, European Union, West Asia, Africa, Latin America – all signifying and emphasizing a new vigour in bilateral relationships under Modi’s tenure. The last two sections emphasize India’s emergence on the central stage of global politics under Modi’s leadership. Now the whole world looks at India with a greater interest- economically and strategically. The book is a very timely contribution in the field of India’s foreign policy and diplomacy under PM Modi’s leadership and presents a range of viewpoints and arguments of experts from different regions of the world. The editors Yamini Chowdhury and Anusuya Diya Chowdhury must be complemented to have compiled and coordinated 45 articles all from eminent scholars from across the globe. However, what is a let down in the book is a lack of introductory editorial chapter synthesizing the diverse opinions and editors’ own assessment. It is a very crucial and contemporary book and a must read for those dealing with the subject of India’s foreign relations, politics and diplomacy and international economics.